I really dislike raw onions on basic salads. I like onions, but raw ones on salads are overpowering and aren’t my thing. It is just one of those preference things. There is a restaurant at Indian Lake where Liz and I are regulars. When we are at the lake, we usually go there at least twice in a weekend. The restaurant is on our island chain (convenience) and is the only one on the water (amazing) and has great people-watching (entertaining). We love the vibe, we love the people and we love the experience of going there. Last fall a new manager took over at the restaurant and started making some small changes and all of them for the better. When we went back at the start of this season there were some minor changes but nothing earth-shattering. We also knew that a new menu was forthcoming, but was still a month or two away. In short, the changes didn’t really impact us at all. We ordered dinner for the first time this season and I got a burger and salad. The salad came out and the rings of raw red onion that normally come with the salad weren’t there. This was good because it meant that I won’t be casting the onions off to the side in a wasteful manner. Then I took a bite of the salad and…. CRUNCH! Raw onions chopped up inside the salad meaning there was no avoiding them! Yuck! The salad wasn’t inedible by any means but it wasn’t as enjoyable as I expected. Further making the situation difficult, it was a complete surprise to me that I didn’t find out until it was too late. I was mentioning this to the manager in a conversation and he had explained that they were trying to upgrade the food a bit. The new salads are made to order and I can simply request not to include onion. This is a deviation from the normal “no substitutions” policy but sounded like a good option. It would have been better to know this more proactively, but so be it. Now I just have to remember to special order my salads even when the restaurant gets busy and I feel like I am being high-maintenance. Fast forward two weeks and there we were back at this restaurant on a beautiful Sunday afternoon. The weather was super nice and the restaurant was slammed. I ordered my food and ordered a salad with my chicken breast. When ordering I specified “no onion” to the bartender. His response was that the salads are all pre-made and that substitutions were not allowed. So… there I am eating a salad with onion again! These issues seem to be all better now but this was a short term unpleasant experience. First, there was a change that impacted me that wasn’t managed and my expectations weren’t set properly. Then there was inconsistency regarding the restaurant’s policies. As a result, my experience was negative and it didn’t have to be. This story is a small and slightly silly example of one of the things that we leaders need to deal with on a daily basis. Simply by proactively managing changes and by ensuring consistent execution of the basics, any organization can improve customer experience. These are pretty small expectations but they can make all of the difference in the world to a customer. As a leader our role is to tirelessly protect our customer’s experience! Whether you are working in a customer-facing position or if you are in a support function, this is still a core focus area for you as a leader. No matter your role, you have customers. If you have customers, you need them to be happy or you won’t be in business for long. So you success is inseparably tied to your customers’ experience. In order to protect the customer experience, you need to have solid processes in place and measure the adherence to them. If you detect deviations, your role is to coach the people delivering the experience on the value of consistency. If you aren’t sure that consistency is important, think about McDonalds. You can order a Big Mac in Columbus, Ohio or Shanghai and it is going to be the same. McDonalds makes billions of dollars each year based on their consistent, predictable customer experience. They aren’t alone either, all major international brands have the same focus. Call to Action: think about the customer experience you want your team to deliver… are you delivering it consistently? How do you know, are you measuring it? If you aren’t sure, look for opportunities to measure your experience and to make it more consistent. When you do decide to make a change to the experience, make sure to make that change in a planned manner and take your loyal customers on the journey with you. Your customers will thank you! Also, make sure to try the upgraded salads at the restaurant at Indian Lake! Do you know how to build a campfire or bonfire? On this July 4th holiday (and the upcoming weekend) that I am spending with friends and family, we will certainly spend time sitting around a fire. We will enjoy drinks, music and just each other’s company. Building a solid fire is a little tricky and isn’t as simple as it seems. But being able to build a fire means you can unlock relaxing and potentially life-saving experiences at will. 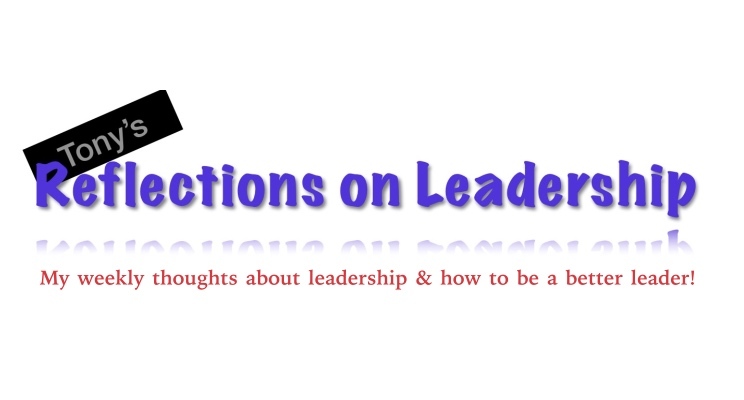 Beyond that it is a powerful lesson about leadership. It all starts with having a goal. You want to make those big logs burn and turn them into relaxing flames, smoke and ash. The best leaders have a clear goal in mind, something they are trying to achieve. That is where leadership starts. Next, you have to know why your goal is important. You aren’t building a fire for the sake of building a fire are you? You are building a fire to use as a centerpiece for family bonding, for relaxation with your friends or to save your life. Knowing the “why” behind your goal will keep you focused and diligent when those flames start to blow out. Now you need to spark a small flame to get the fire started. This is usually accomplished with matches, a lighter, a torch or flint and steel. Whatever your tool you need to produce a flame to get the process going. As a leader this is where storytelling comes in. You need to communicate your goal to people with a compelling story. Just something to get a little spark in the people you need to motivate. You and I both know that a small spark isn’t enough to get the big logs to burn. The process is a little more complicated than that. Next you need some kindling to help heat up and accelerate your fire. I usually start with newspaper and some small sticks and leaves here. Something that is easy to get burning. In leadership this is where you need to share your plan for how to get from where you are to your goal. Without a plan that initial spark will just die out and never become a fire. Your plan is your kindling. Here is where many people make a mistake…. Don’t mistakenly assume that the kindling is enough to get the fire burning. Kindling alone will not get you where you want to be. Their fire burns out and they get frustrated or maybe pour lighter fluid on which is dangerous and smelly. Similarly, as a leader, a goal, a story and a plan isn’t enough to ensure that your goal is going to be achieved. You need more! After your kindling is burning, you need to add more fuel to get your fire hot enough to achieve your goal. This is best accomplished through bigger sticks and tree branches that will catch fire at lower temperatures and burn hotter and longer than the kindling. This will influence your big logs to start burning. As a leader you need to also have an influence strategy and change enablement process to put your goal within reach. By knowing your stakeholders, identifying where their level of support for your change is and needs to be and by defining specific forms of influence for each stakeholder you can help ensure that the fire inside them gets hotter and burns long enough. So your logs are finally burning and you have a fire, congratulations! But you aren’t done just yet. You have to continue to tend your fire. If you just leave the fire alone the logs are going to burn on one side and quickly burn out. You aren’t going to fully achieve the goal you had set out to achieve. You need to ensure that the logs are getting air flow, that you are rotating them occasionally and you may have to even continue to add more of the smaller fuel to keep things going. Many of us have experienced changes that happen for a while and just quickly burn out, right? As a leader this is where reinforcement is needed. Once you see the change begin to take hold and you goal is starting to come to fruition you have to keep helping and supporting. Recognize and reward the positive behaviors and engage the negative behaviors. Remove the barriers that people encounter whether they be training barriers, process, technology or other influential people. It all starts with measuring the adoption of the change both qualitatively (talk to people and observe) and quantitatively (track some metrics). From there it is daily effort to watch the progress and address the obstacles. Next thing you know, you are going to have a roaring inferno. You will be able to relax by your accomplishments and you can cook s’mores over your team. Wait… maybe I have gone too far in the metaphor! Call to Action: build a fire to enjoy with your friends and family. Then try to follow a similar process with your next big goal. It worked for me in many areas, including my fitness journey, and I am confident it will work for you. I am now 2 full weeks into working a new full time day job after an almost five month sabbatical. While I was out of work I changed up my day-to-day routine and added some new recurring activities. I really enjoyed each of these new additions and initiatives that I took on and they were all pretty rewarding. Each of them took time and energy but they were absolutely a labor of love and helped me discover previously unknown passions. Now I am back to work and I need to reallocate over 40 hours of my week to my primary job. That means that I now have less time to continue pursuing all of these initiatives and I am struggling to make it all fit and still achieve the level of quality that meets my own standards. Some of my struggle will get easier as my routine takes shape but some of it means that I have to make a decision. Do I continue trying to pursue the same scope and let quality suffer or do I need to refine my scope of activities? While it is going to take me some time to figure out the optimal mix of activities in my portfolio, this has reminded me of an important part of leadership – focus. Leaders are very aware of the fact that time is not unlimited. They understand a key concept of project management, the triple constraint. That is that all projects are a balance of scope, time and budget/resources and any imbalance between these results in compromising quality. I learned that we can do anything, but we can’t do everything… at least not at the same time. Know your goals / priorities. Focusing on the right things always starts with knowing what to focus on. The most important first step to this is to know your goals. By setting clear, measurable, SMART goals, you have a standard to use when determining which projects are most important for you. Here is a pro tip for all of you leaders of people and mentors out there: your top priority should be your people and their development! No matter your goals write them down and keep them visible. This will help them stay top-of-mind. Minimum Viable Product (MVP) or “good enough”. Based on your goals, the next step is to figure out what is the least amount you can do in order to achieve this goal. For example is you are focused on working out to maintain your weight and health you need to expend far less energy spend less time working out than if your goal is to lose 100 pounds. In many cases the secret to accomplishing more is to figure out what your minimum threshold is for success. Say no. In many cases, the word “no” is the key to accomplishing your biggest goals. If you know what your goals are you can decide which activities don’t align with your current priorities. Then you can say “no” to the other things. Do it “later”. Later is more than a way to procrastinate, it is an important way to separate the things that are important to you know from the things that you still want to do, just not today. By shifting some things to a later date you can still focus today and not lost track of the other things that you might like to do. Activity Stacking. One way to increase your capacity is through a concept called “activity stacking” or doing more things at once. For example, if you want to read more but you also want to work out more, one option is to switch to audiobooks while you are exercising. Any time you can double up on work, and still give each task the attention needed to meet your quality standards, you have mastered productivity. Timebox. One way to ensure that you are spending time on the things that matter is by timeboxing your day. IN your schedule each day carve out sets amount of time that you can work on each of your biggest priorities. Then stick to that time to ensure that you can get to everything. Optimize your processes. In some cases you can accomplish more by improving your personal organization and by reducing wasted time. We all waste time here and there so there is opportunity to eliminate some of that wasted time and reinvest in higher priority activities. Not sure where you ware wasting time? Try tracking your time for a week or so to figure out where you are actually spending your time. In productivity, fitness, finances or anywhere else that you have a goal a personal audit is a good tool to use to figure out how to get to that goal. Ask for help. A great way to accomplish more of your goals is to engage more resources. Whether you are asking your friends for assistance or delegating to your team leveraging other people is a great way to increase your capacity. You can even buy this capacity through various online services. Self care. Another way to help yourself get more done is to care for yourself. By doing things like exercising, getting quality sleep and consuming a healthy diet, your body is in tip top shape to do its best, most focused work. Let yourself stray. Sometimes the best outcomes happen when you let yourself stray from the goals you are trying to achieve. By embracing a few distractions and giving yourself permission to take a break from your goal you clear your mind and that can lead to some of your biggest ah-ha moments. Plus this really helps you enjoy the journey. So go easy on yourself when you stray from your path for a short time. There you have it, 10 very actionable tips to help you focus your time on the most important things. Call to action: figure out your biggest priorities… what is most important to you. Then leverage the techniques mentioned above to ensure that the way you are investing your time matches your most important priorities. If now, make a change. You have choices and decisions in life and have control over how you invest your time. Do you know how an airplane flies? The rounded edge of the plane’s wings allow air to pass rapidly over them. This air creates low pressure above the wing and high pressure below the wing causing the airplane to lift into the sky. It is much the same as when you put your hand out of the window in a fast moving car and tilt upward and downward. The goal of a plane is to get off the ground which is a force called lift. 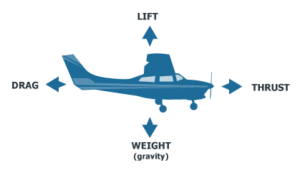 Lift is one of 4 forces that act on an airplane as depicted below. 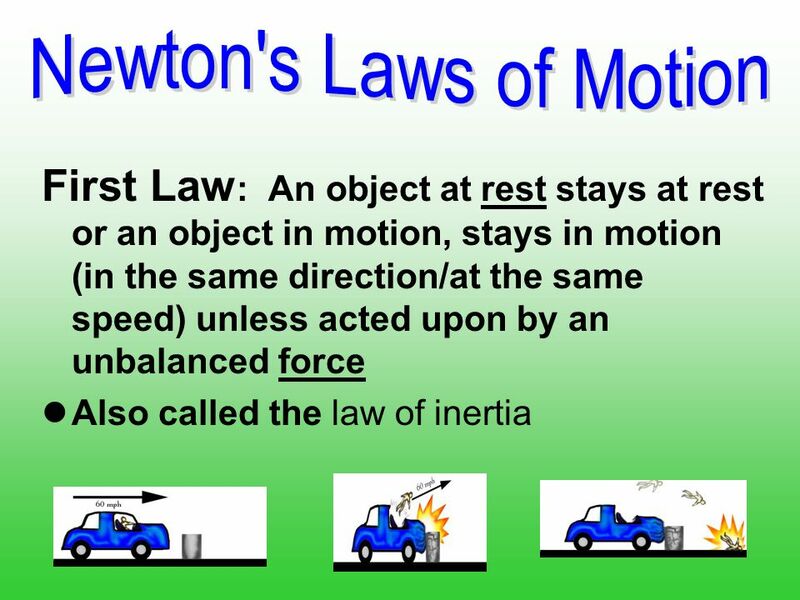 Lift is used to counteract the force of gravity which pulls the plane and everything else down to the earth. Thrust is used to move the plane forward. Drag is anything that slows the plane or the air moving over it and counteracts thrust. It is the goal of the airplane to minimize drag because the more thrust the plan has the more lift the plane has. I am going to say that again… the more that a plane moves forward the more that it is able to achieve its ultimate objective… lift. There is an important leadership lesson there! Like a plane, we are able to climb closer to our goals if we just start moving. If we sit and wait to have the perfect plan or the perfect conditions, we go nowhere. Just move! 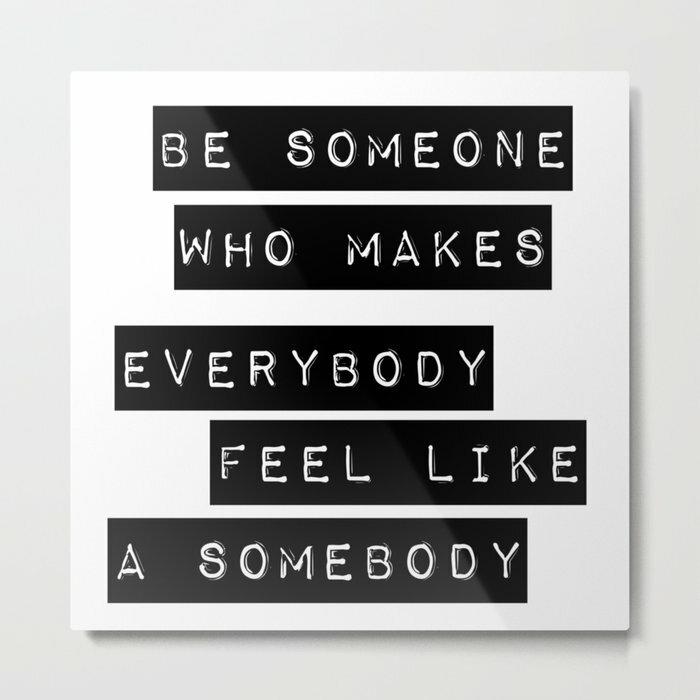 This is an important concept in many areas. First off, it was a big step in my fitness journey. Before I had figured out my whole plan, I started exercising and moving. It is far easier to make progress and make changes when you are moving than when you are sitting still. Just like it is far easier to change the path of a flying airplane than one sitting on the tarmac. This is also an important concept in project management – I call it the “quick win” concept. 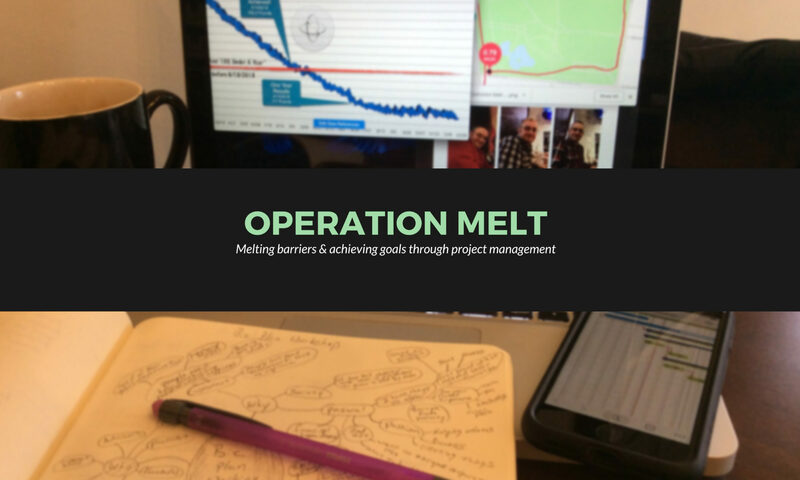 In projects you spend a lot of time working on identifying work, estimating work, sequencing work and laying out a detailed plan for the team. During this time, the actual amount of the ultimate business value of the project that you earn is zero. So, while detailed planning happens, it is always best to get the team focused on moving the project forward. In fact, in a very simplistic way, this is the concept behind Agile, DMAIC and many other solid approaches / framworks. This concept of getting moving even applies to personal and professional development. If you start working on something, you are going to learn more along the way (progressive elaboration for you project managers) and be able to make quicker progress. Plus there is something to be said about getting your mind focused on the work and what comes next versus trying to jump right into long term planning. Here’s a real life example of how I have used this in a leadership setting. I was mentoring somebody who was facing an issue. For several consecutive meetings she would talk about this problem with her manager and how it was making her miserable. But she wasn’t making any progress because she was trying to figure out a big plan for what to do about it. I challenged her to approach it differently. I asked her to think of one tangible thing she could do to make an improvement to the situation within the next week. I asked my mentee to commit to me that she would implement that idea within the next 2 weeks and come back and tell me how it impacted the situation. She did and it made a big difference. Then she committed to the next item and the one after that and eventually she was out of the problem. By achieving some thrust/momentum she acquired the lift she needed to get off the ground. Call to Action: are you staring at the horizon of a major goal out in the distance that you don’t know how to achieve? Take a step forward before figuring out the full plan and then another and another until you have both your plan and some progress at the same time.